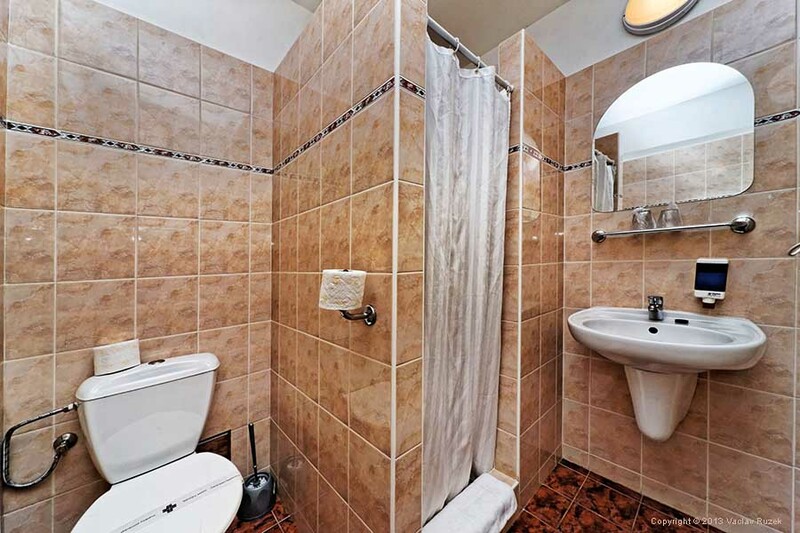 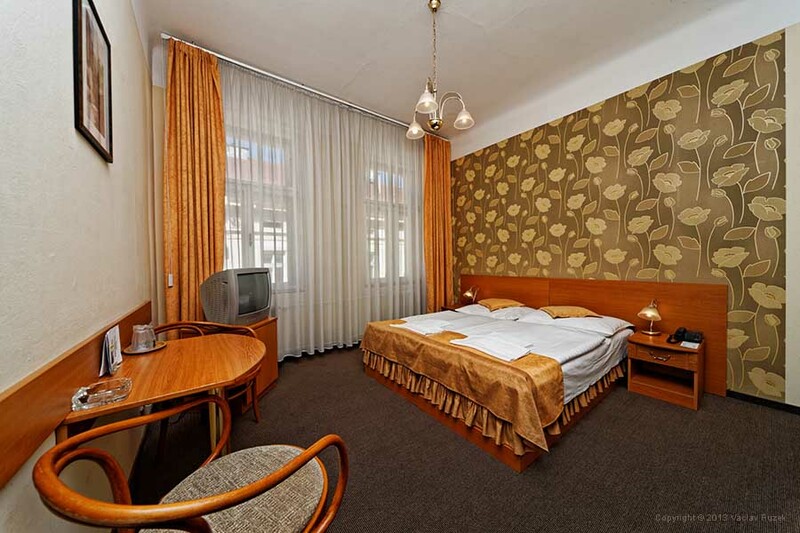 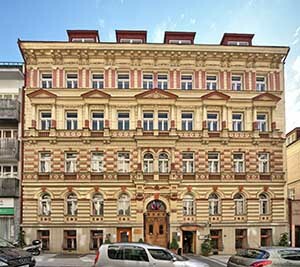 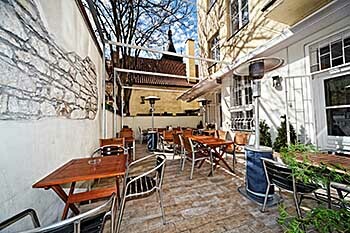 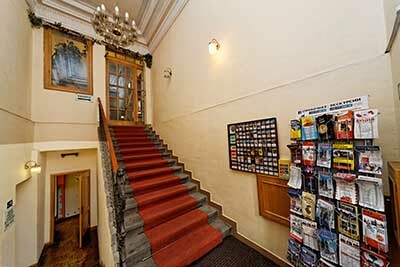 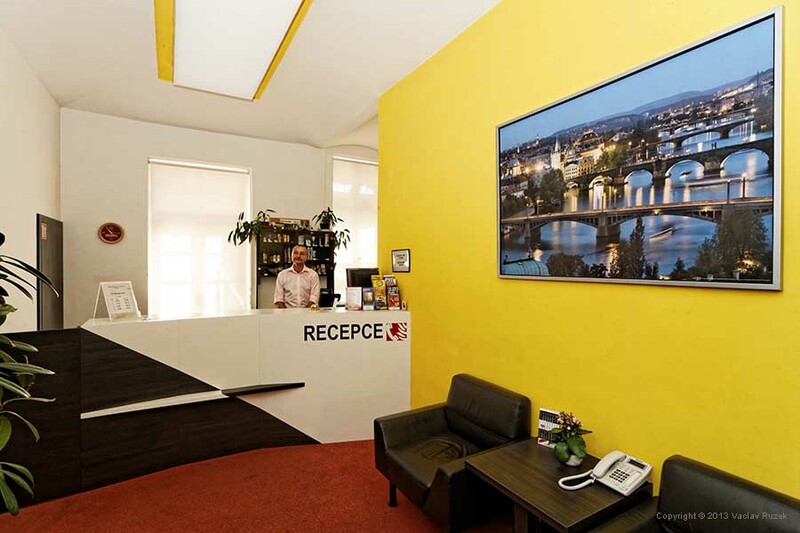 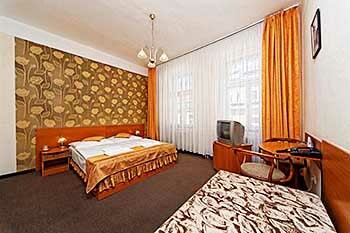 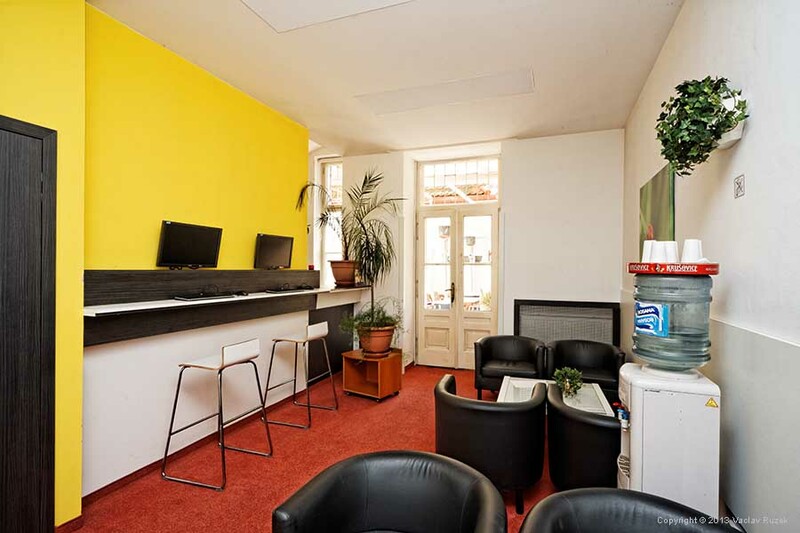 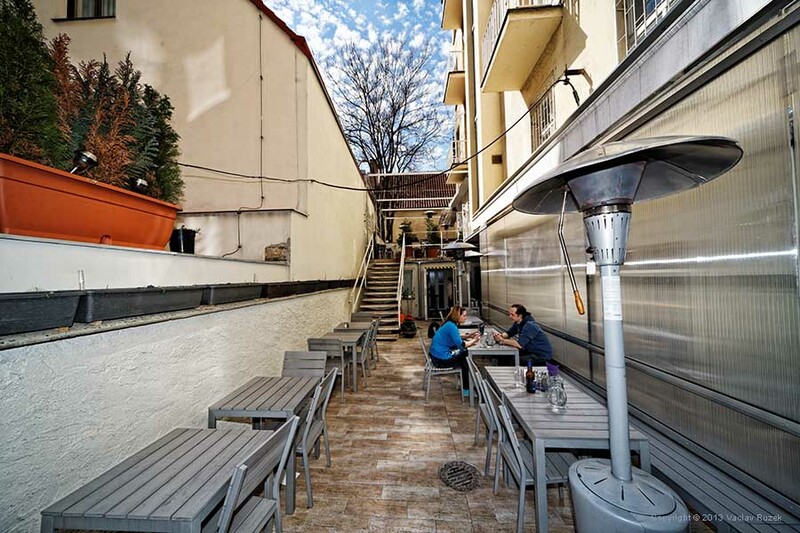 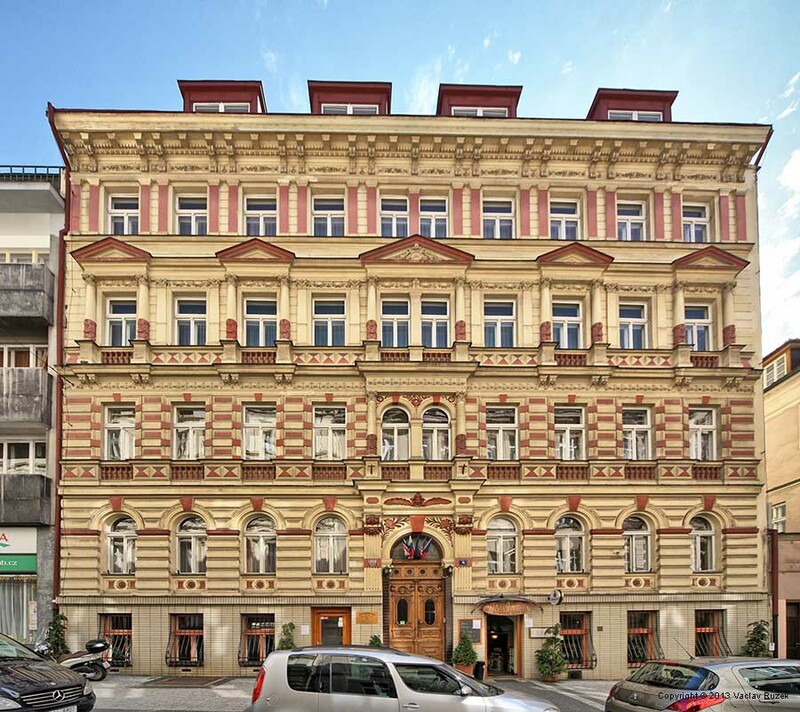 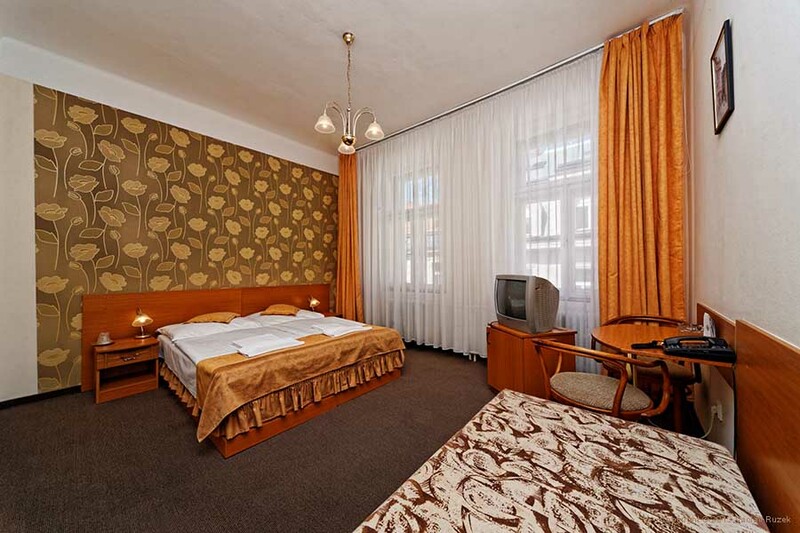 Hotel Novomestsky offers modern comfort in a pleasant atmosphere, in a quiet street in the historical centre of Prague. 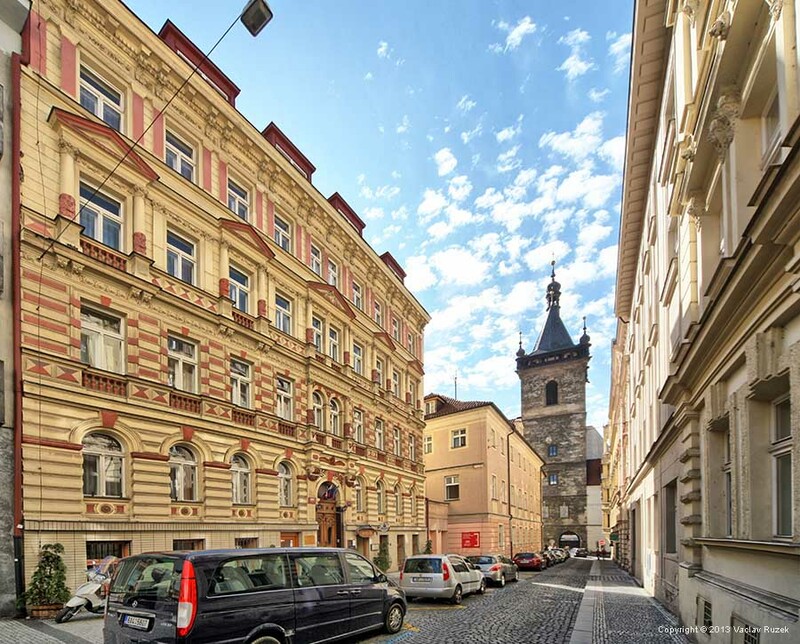 National Theatre, Charles Bridge, Wenceslas Square, Old Town Square - all these sights and the town centre are easy reachable by foot from the hotel. Our rooms offer comfortable accommodation that will satisfy all guests from young travelling couples to families on vacation to managers on business trips. 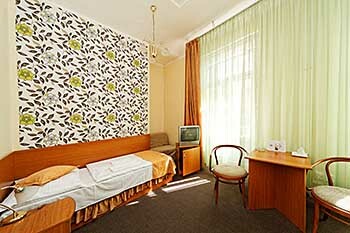 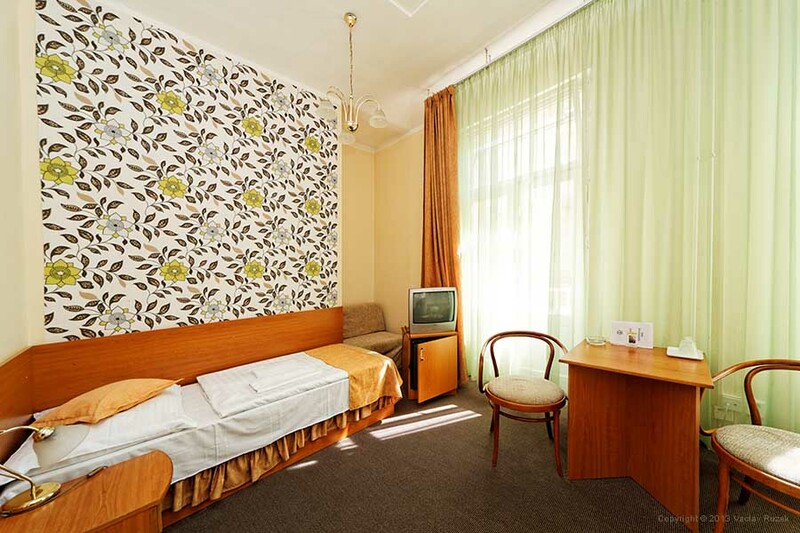 Our rooms are tastefully furnished and provide you with privacy in the middle of a large city. 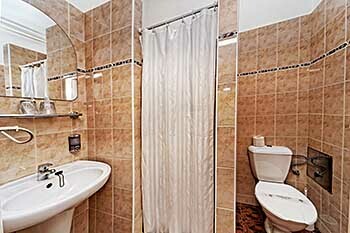 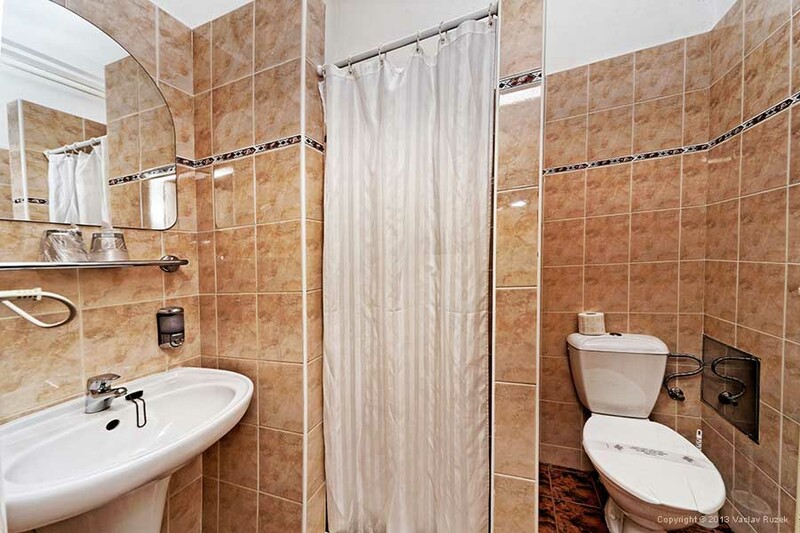 Each room has its own private bathroom and toilet, a mini refrigerator, a direct dial telephone, satellite TV and WiFi. 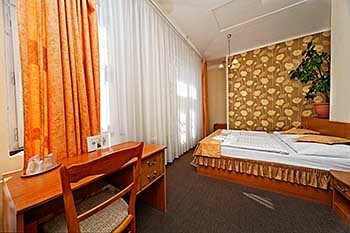 We have a total capacity of 31 double and twin bed rooms and 3 double bed suites (extra bed possible). A buffet breakfast is served in the breakfast room. 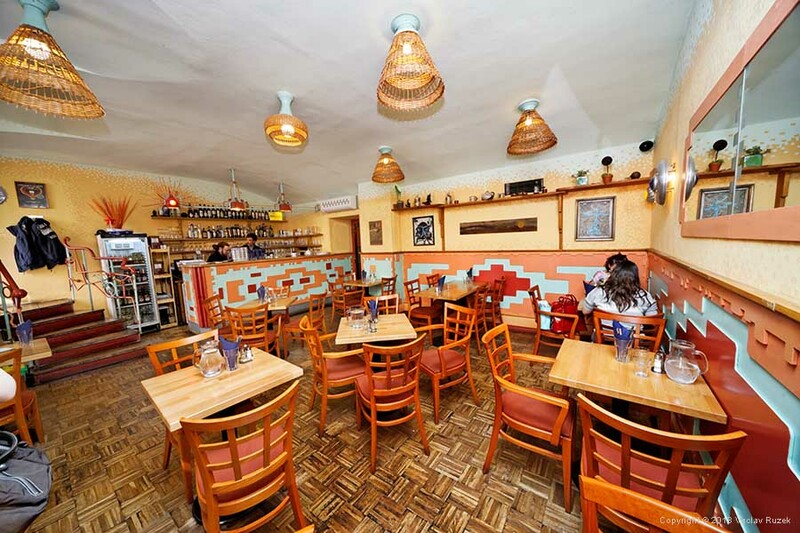 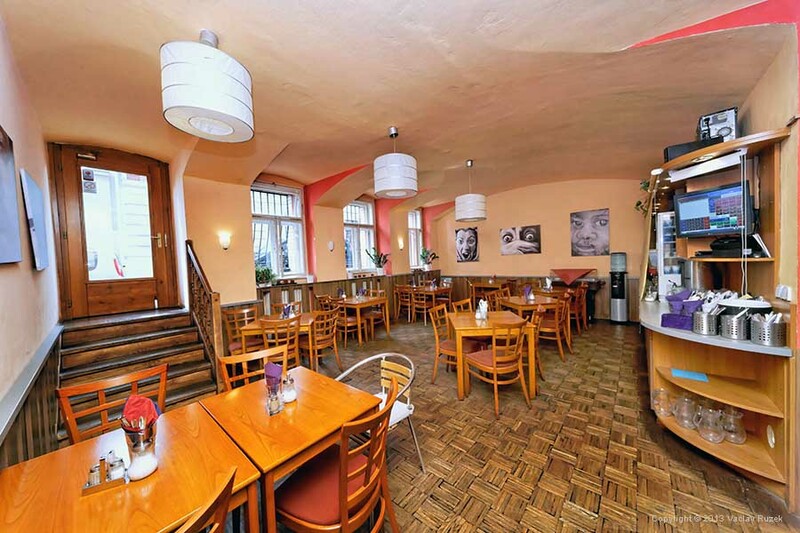 The restaurant for 35 persons offers excellent Czech and International cuisine and Czech beer. There is also a summer terrace for our guests. The employees of our hotel are looking forward to your visit and wish you a pleasant stay. 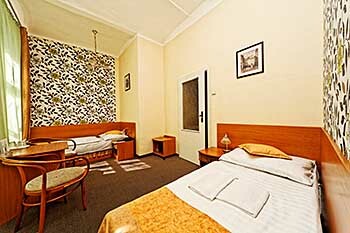 Children up to 3 years in the parents bed or baby cot free.